And Denise learning a new skill! 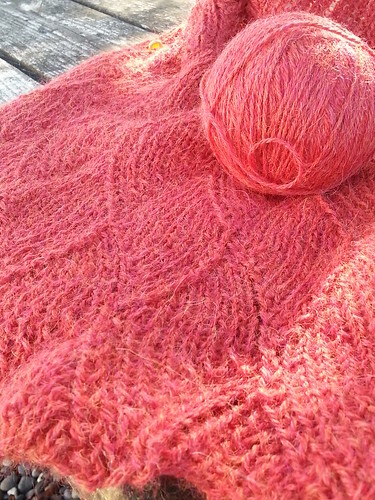 Oh Norwegian Purl, where have you been all my life!? 🙂 Can’t wait to try it out on some corrugated ribbing. And, I am really close to finishing the Tomato Bisque cowl (maybe 90%). I think that is probably the closest I have come to accurately capturing the color of the yarn. September light seems to suit it!